A major route to evolutionary innovation is gene duplication, which can occur from the level of the single gene all the way up to the entire genome (Review). Gene duplication can have a large impact on biological networks, including regulatory networks and metabolic networks. 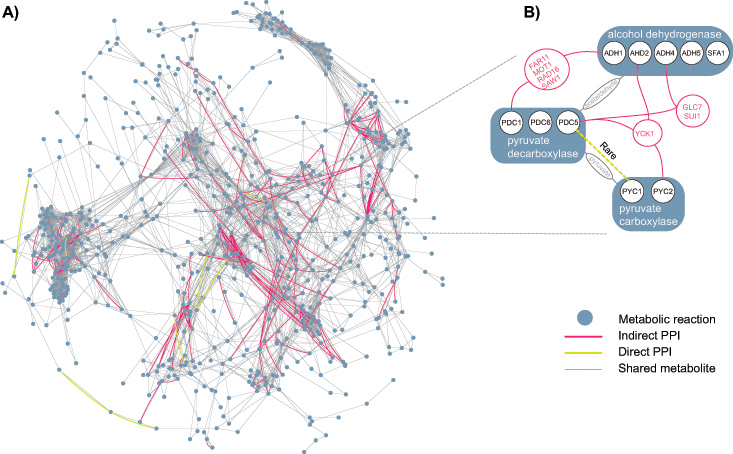 In this second paper, we inferred metabolic networks for several mammalian genomes and explored the patterns of gene duplication in them, finding that duplications are localized to regions of the network involved in traits of interest, such as milk production in cattle. Understanding these copy-number variations in mammals is also has an important role in understanding diseases including cancer, Alzheimer's and Down syndrome. We have also studied whether small "motifs" in regulatory networks are derived from duplication or convergent evolution. I have also studied why bakers' yeast is able to turn sugar into alcohol with such efficiency. Although we still do not understand all the details of this story, genes that produce ethanol have been duplicated in the yeast genome through a whole-genome duplication (WGD). We think these duplications contribute to the process of evolving new functions in two important ways. Firstly, it is sometimes enough to have a second copy of a gene to obtain a new function. The reason is that genes are the templates from which the machinery of the cell is made. Having an extra copy of a gene can therefore allow more copies of a given protein to be made, potentially allowing the cell to grow faster. Perhaps more importantly, these extra copies of genes can be altered such that they perform a new function that is related to their original function, much as computer users often open an old letter and then modify it to make a new one. In addition to gene duplication, bakers' yeast has also changed in other ways: the timing with which certain genes are turned on and off has also been altered, allowing yeast to more closely control how it uses the sugar it finds in its environment. 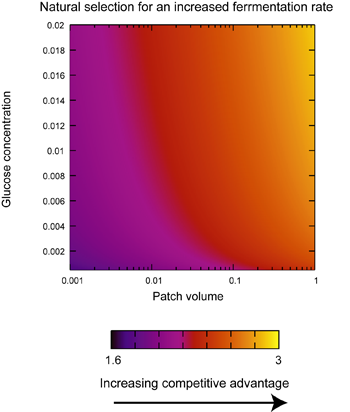 The result is an evolutionary advantage based on the fast, inefficent use of glucose. We have made similar observations in plants, finding that genes surviving in duplicate after genome duplication tend to act in key reactions (i.e., reactions with high metabolic flux. There is also a tendency toward the clustering of duplicates, in keeping with the idea that genome duplications, unlike single gene duplications, can duplicate highly connected genes in biological networks. 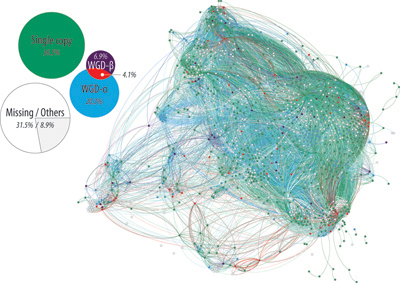 More generally, WGD also altered the global patterns of gene expression in yeast. We developed an algorithm for partitioning the yeast coexpression network in two groups based on the WGD. Using this program, we found evidence for partitioning of expression into, for instance, one group of genes involved in stress response and another (composed of duplicates of the first) that had more general functions. In collaboration with Prof. Kristi Cammack at the Univeristy of Wyoming and Prof. Bill Lamberson at MU, we are interested in the structure of the ecosystems found in ruminant mammals. The microbes that dwell in these animals' rumens allow the host animal to live off of a diet of plant matter that would not support life in other metazoans. In addition to studying the distribtion of taxonomic groups in animals fed differing diets, we are interested in the systems biology of these systems. 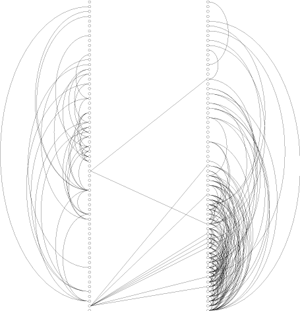 Using the MetaCyc database, we have mapped reads from ruminal microbes into a metabolic network. 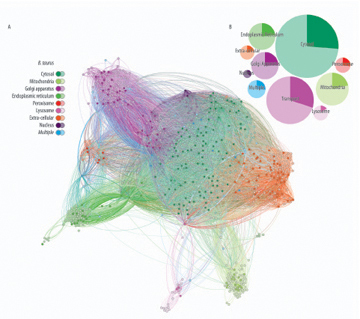 Then, using comparative genomics, we defined an interface between that network and the metabolism of the host animal. We are currently exploring the structure of these systems with a variety of network-based approaches. The microbial (right) and host (left) metabolic networks from two steers: nodes are reactions and edges join reactions sharing a metabolite. Nodes on the right are color-coded by the number of reads found for that reaction (see scale bar). The color-coded compounds are interface metabolites that we believe to be interchanged between microbes and the host. Orthology refers to a biological structure in two different species that was shared in the common ancestor. 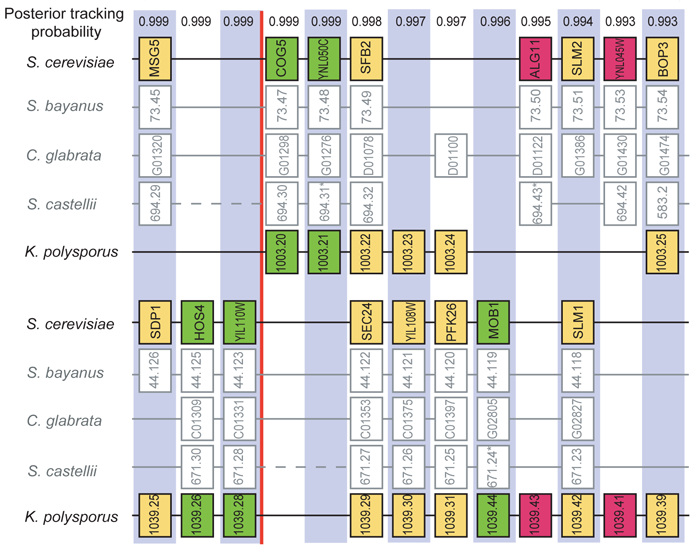 We have developed tools for the inference of orthology inference among genes both for mammals (no recent genome duplications) and yeasts which shared an ancient duplication. Our approach in yeast is unique in being able to probabilistically infer both a phylogeny and the orthology relationships among distantly related genomes. We are also interested in how metabolism is spatially structured: we have shown that scaffolding proteins help organize metabolism in yeast. In this picture, the grey lines join enzymes (blue dots) that use the same metabolites. The superimposed red lines are cases where those two proteins are also connected by a third protein, that is not an enzyme (see right). We also develop software for the bioinformatics/biology community. 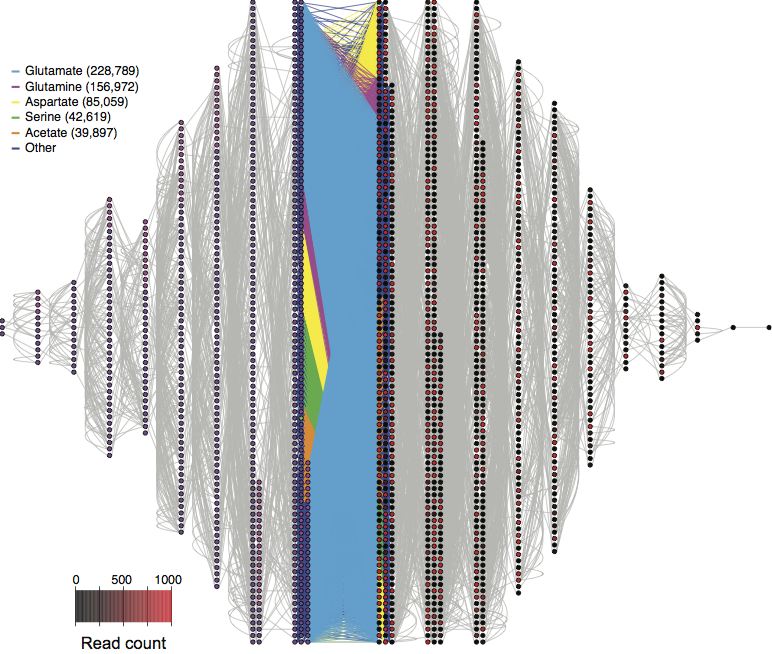 Our most recent package is GenomeVx: a web tool for producing chromosomal maps.